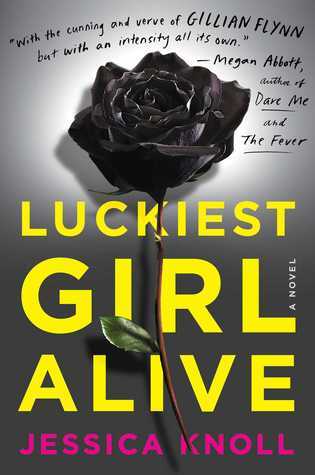 I just LOVE a great suspense novel more than just about anything else and Luckiest Girl Alive definitely delivered. I loved everything about this novel, from the stunning cover to the gritty story contained within. This story was dark and twisted and sucked me in from the first page. 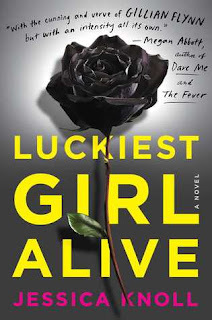 A book that I didn't want to put down even as it made me shudder and cringe from being uncomfortable. Given that this was most likely the author's goal, I definitely think she accomplishes what she set out to do and then some. Having a main character who reinvented herself then finds herself on the verge of losing it all was a reason why I loved this book so much. Who hasn't wanted to leave their past behind at times? The book dealt with some heavy issues though so it wasn't without moments that made me literally hurt and sometimes want to cry. I can't really get into much of the plot because I don't want to end up spoiling anything but this is definitely a must read for those who love a heart pounding, heart wrenching twisty tale.